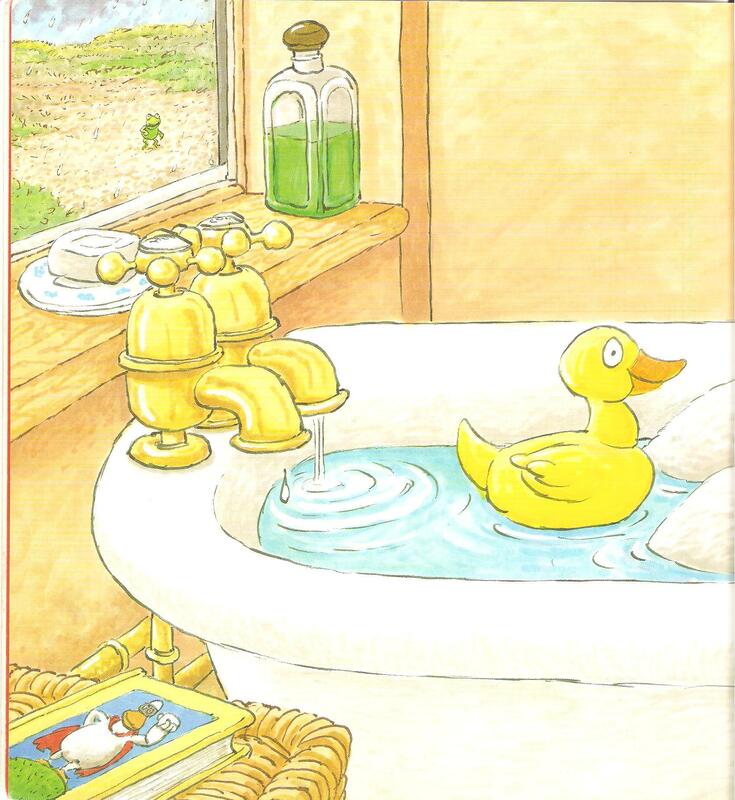 At the start of Fix-It Duck by Jez Alborough (Collins, 2001), Duck is in the bath. You can’t see him, except for his knees: the yellow duck is a bath toy. Through the window, we can see Frog standing in the rain, and next to the tub, we can see Duck’s bathtime reading: a book which must be Jez Alborough’s Super Duck.